Universities and colleges have one semester to comply. The Ontario government will force post-secondary schools to discipline students who interfere with "free speech." 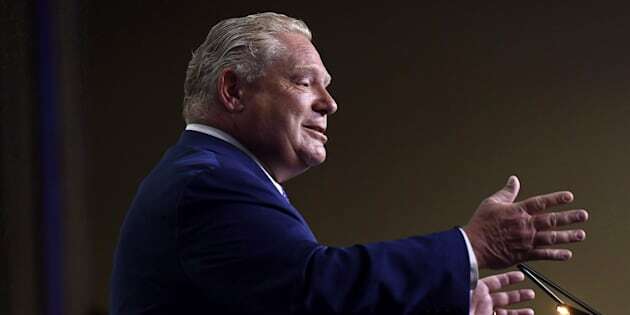 Premier Doug Ford's office announced Thursday that it would require all colleges and universities that receive government funding to publish a "free speech policy" by Jan. 1. Policies must meet requirements set by his office: include a definition of free speech, restrict speech that is considered illegal under Canadian law and discipline students who interfere. Interference is described as, "ongoing disruptive protesting that significantly interferes with the ability of an event to proceed." Ford said in a press release that schools "should be places where students exchange different ideas and opinions in open and respectful debate." The right to freedom of speech does not exist under Canadian law, like it does in the United States. The Charter of Rights and Freedoms protects freedom of opinion and expression, to a certain point. Speech that incites hatred against any identifiable group or leads to a breach of peace is punishable with jail time. Representatives for Ford did not immediately respond to HuffPost Canada's questions. In March, the issue of freedom of expression on campuses hit a boiling point in Waterloo, Ont. Faith Goldy, a commentator associated with the racist white nationalist movement, was prevented from speaking at Wilfrid Laurier University after someone pulled a fire alarm. She had been invited to speak by a student group called Laurier Students for Open Inquiry. The group was launched by graduate student Lindsay Shepherd, who made headlines after she was disciplined for showing students a video of Jordan Peterson denouncing the use of gender-neutral pronouns for transgender people. Federal Conservative Leader Andrew Scheer has indicated he supports the denial of funding to schools that censor dissenting opinions. But, he's said there should be loopholes to make sure schools don't provide platforms for hate speech.